Put a sheet metal brake in your tool box. 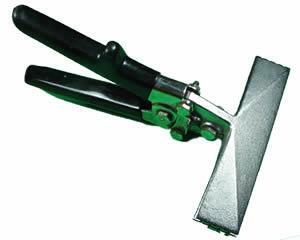 This specially designed tool folds or straightens sheet metal. You can straighten a furnace door edge, make filter brackets or fold access plates for a custom fit. The extra wide design helps with long straight bends.